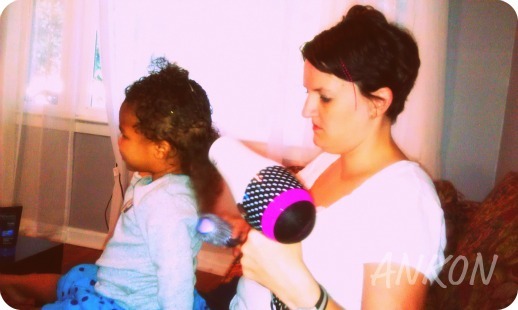 To make her hair easier to cut, we straightened it at home – well, as much as possible. Mommy is so not a stylist. The finished product at home! Thank goodness for Ice Age that held her attention long enough for me to straighten her hair somewhat. Of course we had it pretty straight at home but by the time we got to the salon (1 mile away) it had started to curl back up! 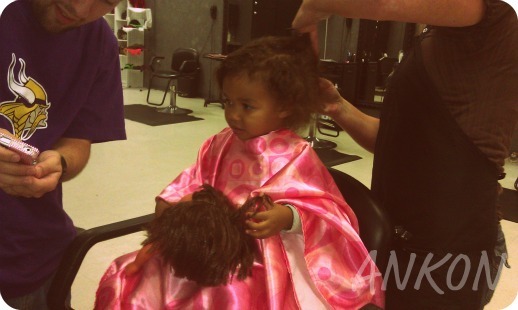 Abby sitting in the chair for the first time getting ready for her cut! She didn’t care for the cape! Getting ready for the first snip! Some smiles for the camera! I think her favorite part was looking at herself in the mirror. She’s a vain one. She could spend an hour looking at herself, making silly faces, and dancing in the mirror. Last few snips! She definitely got antsy by this time so we had to pull out cell phones to keep her still for a couple more minutes! 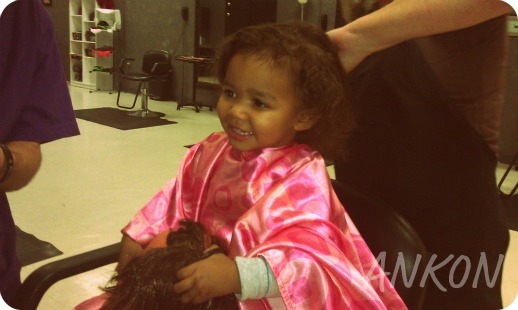 I don’t know how she would have done with a stranger cutting her hair but since it was her “aunt” she did really well! Playing with Daddy! 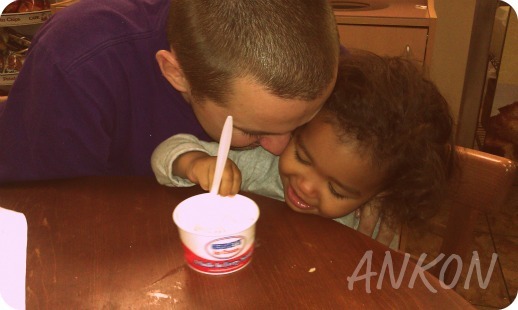 These two definitely have my heart! I don’t know where I’d be without them! 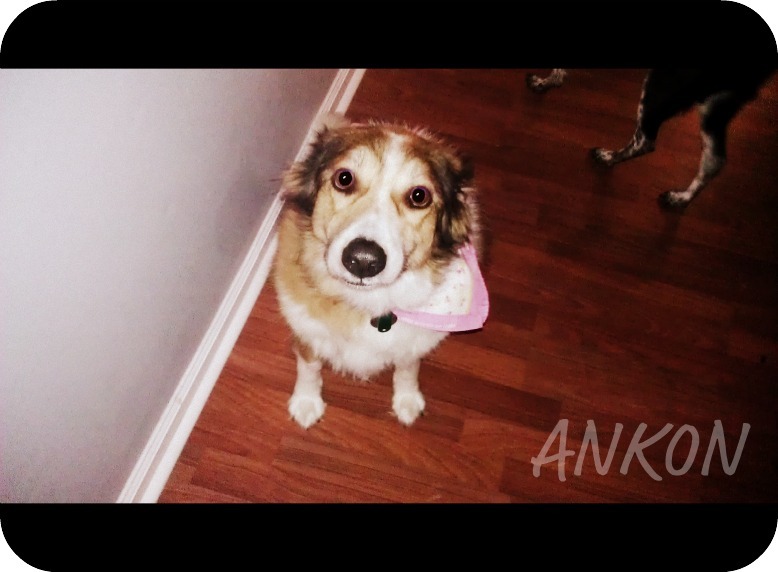 Its time for another day in my life where I am linking up with Adventuroo! 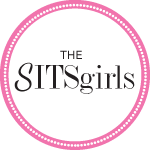 This post will be the morning edition so come take a peak into the madness! 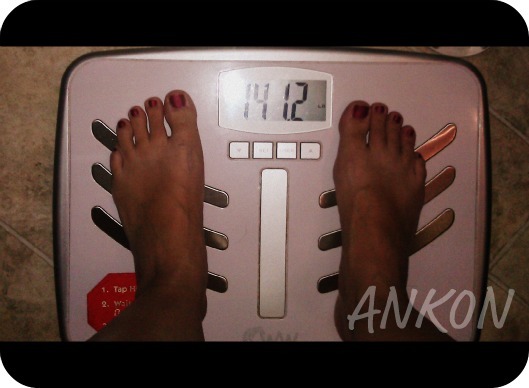 First things first on a Wednesday morning – time to hop on the scales! 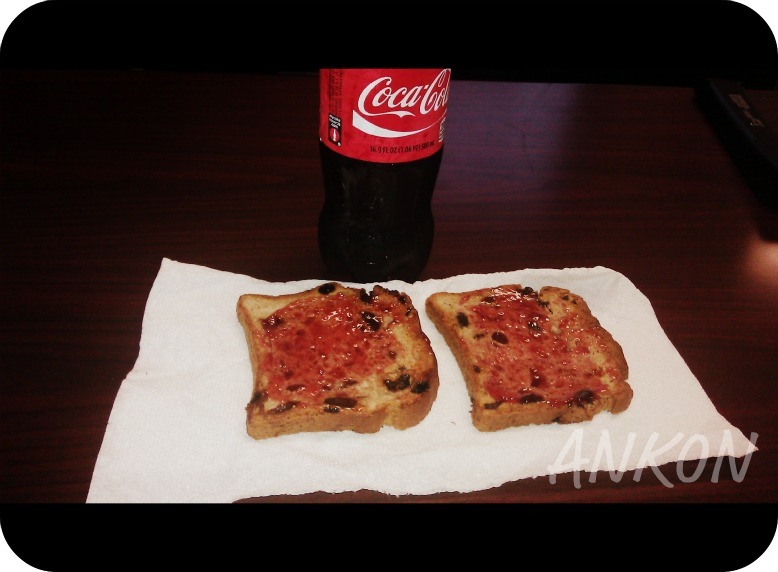 Its weigh-in day over at the Sisterhood where I am participating in a Shrinkvivor challenge! Unfortunately, this was a great weigh-in. I was up 1.4 lbs from last week thanks to having to spend much of the week in bed. Next comes the fun of making myself presentable for work! It takes a lot of products to work the magic! Since my hair is really short now, on days when I spike it, I use spiking glue, pomade, and hair spray all by Got 2 B. Their dry shampoo is also awesome! I think dry shampoo is one of the best inventions ever. 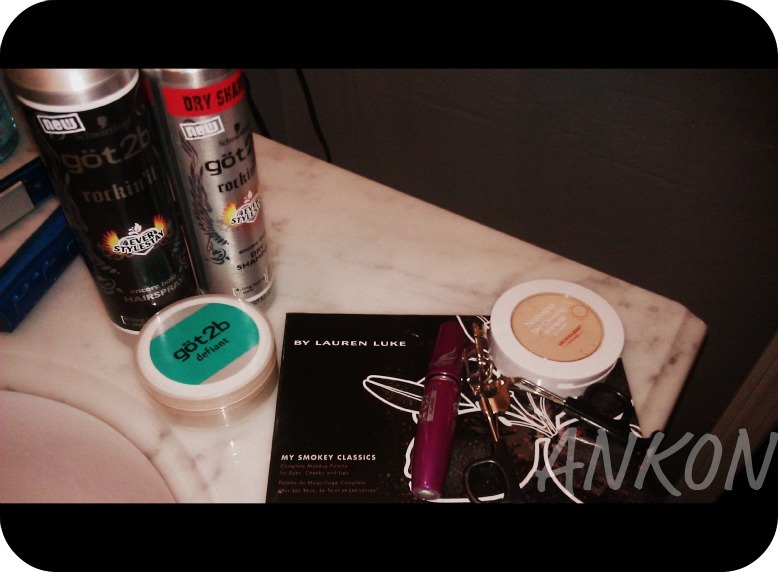 My make up routine consists of Neutrogena mineral powder (though I’ll have to change to something different for the cooler weather since my skin dries out so bad), Maybelline mascara, and the Lauren Luke My Smokey Classics palette! Charlie, my faithful sidekick, is always waiting patiently outside the bathroom door. Chloe usually stays in bed since you can see her legs she must have thought it was breakfast time. Charlie, however, follows me wherever I go, whenever I go! She’s such a good girl! 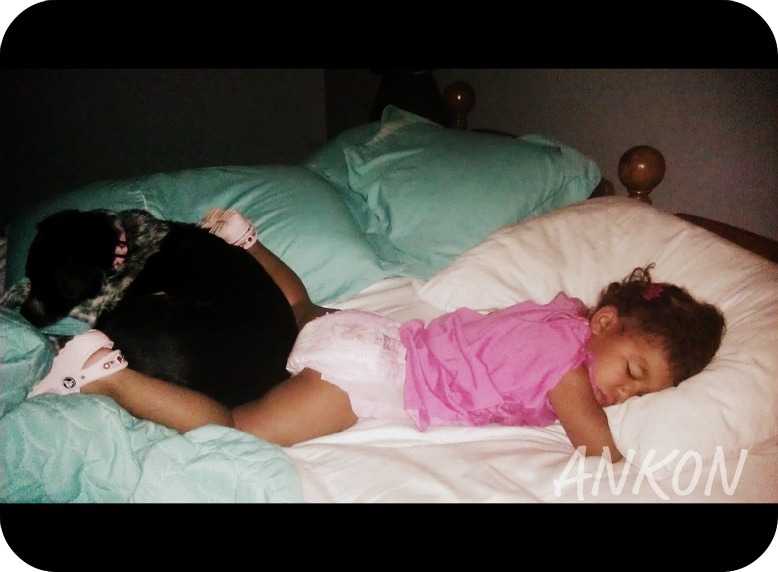 By the time I was finished getting ready, Chloe had gotten back in my bed with Abby. This is how I found them. Yes, she is wearing her Crocs as she was determined to sleep in them. The kid has a thing for Crocs or her ladybug shoes as she calls them. Abby was not a fun child to wake up this morning hence why there are no more picture of her. It took everything I had to get her bear of a self in clothes for school! So there you have it – my typical morning! 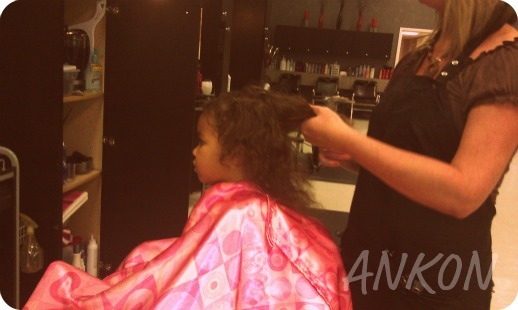 Tonight we have Abby’s first haircut! I can’t believe she’s actually big enough to need one! But the curls need to be tamed so we’re going to make a big night out of it! Can’t wait to share the pics tomorrow! So I’m a little tardy to the party but I’m joining up with Adventuroo for a really cool link-up this week where we are capturing adventure in the everyday by sharing a week in my life through photos! As my life isn’t overly exciting, I won’t post a whole day of pictures at one time instead I’ll break things up. For example, yesterday I had an appointment with my doctor at the Pain Clinic so you will get to accompany me! The day started off in a frenzy as usual but I actually made it to my appointment on time (not that I was called back on time). First step of the appointment is the loads of paperwork. Never mind that I’ve been seeing him for over a year but every visit requires at least 3 pages of paperwork regarding current pain, location of pain, trips to other doctors, etc. The funny thing is that I don’t think we’ve actually ever talked about what I’ve written on the papers in our actual visit. Next comes the drug test to prove that I’m not addict and no other drugs besides the one prescribed are in my system. This is the part of the visit I hate the most as I feel like I’m treated like a drug seeker or criminal but at the same I know they have to do it because there are people out there abusing the system. Its just frustrating. Next comes the pill count. 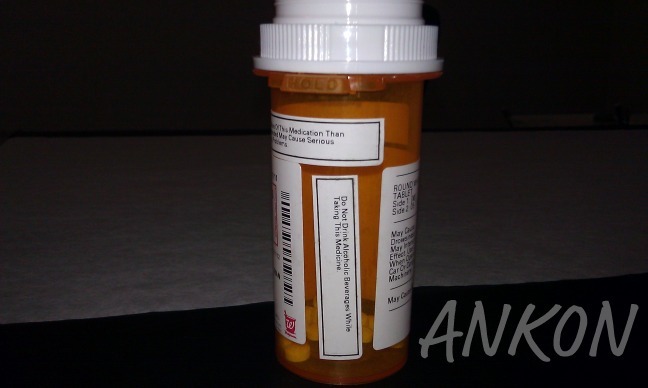 You have to bring in your current bottle so they can count how many pills you have left (per regulations they can call you in at any point for a pill count and/or drug test). This part I really don’t get because if someone really wanted to work around the system they would just leave some at home or say they are completely out but I assume they would catch onto patterns. My prescription is then adjusted based on how many pills I have left over in a month. This visit was extended as little as we discussed my op report from my August surgery. I had glanced over it previously but today was the first day I actually read it in depth so I realize that the pain I’ve been having really could be related to the healing process. Things were pretty crazy in there so they had to do a lot of moving and excising, specifically around my bladder and bowels. So it does make me feel a little better about still dealing with pelvic pain as the doctor gave me some reassurance about the length of the healing process after a laparotomy (open surgery) versus the less evasive laparascopy (where they make minimal incisions). I was starting to panic that maybe my surgery was for nothing but now I feel a little more assured that in the end it will all be worth it! So there you have it folks – a day in my life with a trip to the pain clinic! Tomorrow’s post will include our daily frenzy in getting ready and out the door!